This lesson is directed towards players who are new to the game, or who have just begun to play and are trying to get acquainted. When you start playing a game like Hearthstone, things look easy during the tutorial. Fighting the Innkeeper is a breeze too. Yet, when you start playing games in ranked, you suddenly notice how much harder things get for you. Why is that? For starters, you are playing against real people and not against the A.I. Some players, even at low ranks, know more than you do about the game. In order to be successful at Hearthstone, you need knowledge, intelligence, and experience. When combined, these three factors decide the better player. Let me tell you a story. One day I decided to try and play ranked on the Asian server (where I had no cards at all). To my surprise, although I was able to build decent decks even with the basic cards of the game, I noticed that many players in the lowest ranks of the ladder already used competitive ‘meta’ decks. Fortunately for me, they didn’t know how to play them right. I beat most of them, but after a while, I found I struggled against the well-built decks. So, the question that beginners may ask is: am I just going to lose if I don’t have a decent card collection? My answer is not necessarily. While having a big card collection gives you plenty of options to work with, even a small collection can provide you with the tools for being successful on the ladder. In the past, some of the cheapest decks to craft made it to legend rank. I am talking about decks such as the classic Zoolock, or Face Hunter. 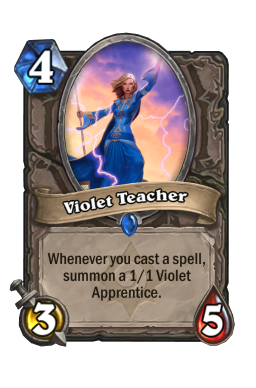 Right now, Mech Mage appears to be a deck which is both cheap and incredibly powerful. You don’t necessarily need a huge collection of cards or a wide array of legendary minions in order to win; you only need to play the right deck for you. There are a lot of free-to-play players that make it to legend, and you certainly can be one of them. That being said, if you’re just starting out, I suggest that you buy Hearthstone’s first adventure – Curse of Naxxramas. Many of the cards from Curse of Naxxramas have become staples in the game, and it’s highly recommended that you have them. Many have argued that this adventure discourages free-to-play users while encouraging people to spend money on the game. 1) How big of a card collection do you have? 2) How long have you been playing the game for? 3) How familiar are you with card games? 4) How patient are you? Let’s discuss the whole matter thoroughly. Many people like netdecking – the act of replicating popular decks off the internet. Unfortunately, most people don’t have all the cards at their disposal to create said decks. Legend-ranked players are more likely to prefer control archetypes that use of a wide array of epic and legendary cards that most beginners don’t have. So, what do you do if you are just getting acquainted with the game and want a deck to start playing with? Fortunately, we have a few of the most popular decks under our deck building section. Mage decks are arguably the easier decks to play. Like anything in Hearthstone, this all depends on your decisions and how you react to your enemy. If you are low on dust and want to pull off some victories, basic decks can help you climb the ladder successfully, at least through the lower ranks. All of these decks share a common aspect: they make use of the best available basic cards for each class. When you are new to the game, it’s hard to know what cards are good and what cards are bad. 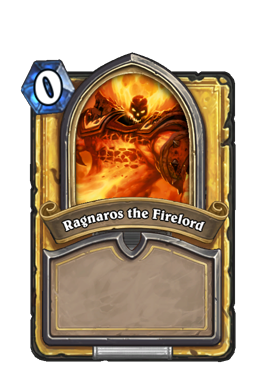 I can assure though, there are better cards out there, and a lot of them are basic class cards. These generally “better” cards can be found both in the basic set and in the Naxxramas set. Most importantly, they can all be crafted more or less for free. Most of the “better cards” out there, are cards that you will need to craft eventually, so it’s important that you know which ones have priority. In this regard, there are good guides to crafting that can make your life easier, so that you don’t make foolish mistakes. 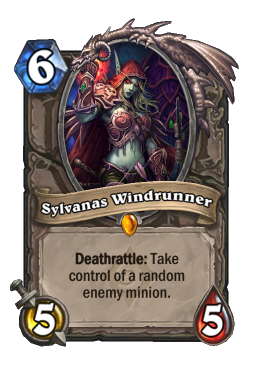 Considering that disenchanting a card nets you a fourth of the card worth, you need to be careful when you decide to disenchant or craft a certain card. 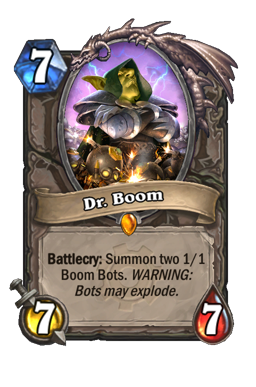 As for Legendary minions, My personal suggestion is that you craft neutral legendaries before class legendaries, and more specifically: Dr. Boom , Sylvanas Windrunner , Ragnaros the firelord . For those of you who are familiar with the basics of the game and want to play an efficient, cheap deck on the ladder, there are a couple of decks that are always efficient and can be always taken to legend – Zoolock and Face Hunter. These two decks are very cheap to craft and perform very well on the ladder. As you might notice, most of the efficient budget decks are aggro decks. In both Hearthstone and Magic: the Gathering, aggro decks are a lot cheaper than control decks. Anyways, if you use one of the decks shown above on the ladder, you’ll do more than fine! Now, for those of you who are not on a budget and want to choose a good deck to rank up with, it’s important that you choose a deck with which you are comfortable. There are some players who like aggressive decks and just can’t seem to get the hang of control decks; some other players like control decks and they can’t master aggressive decks. The third category of players prefers a more balanced or mid-range play-style. A fourth category likes cards synergy and finding all available combos among cards. So, if you are gathering the dust necessary to craft one good deck, you need to figure out what kind of play-style you like. Not sure what playstyle might suit you? Let's take a closer look at types and classes in our next lesson.